O.D. 5.59"---I.D. 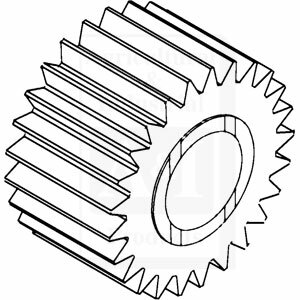 2.302"---Teeth 25---Gear Width 3.125"
O.D. 5.59"---I.D. 2.215"---Teeth 25---Gear Width 2.462"
Groove around teeth .50" from edge of gear. O.D. 5.59"---I.D. 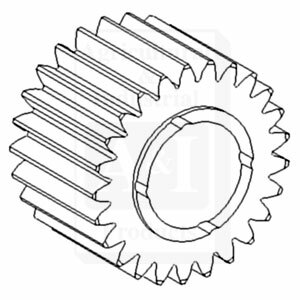 2.213"---Teeth 25---Gear Width 2.620"
O.D. 5.486"---I.D. 2.595"---Teeth 25---Gear Width 3.09"